This beautiful, luxury apartment is located right on the lake front. It has two bedrooms with king size beds, and a family room with a fold out sofa bed. 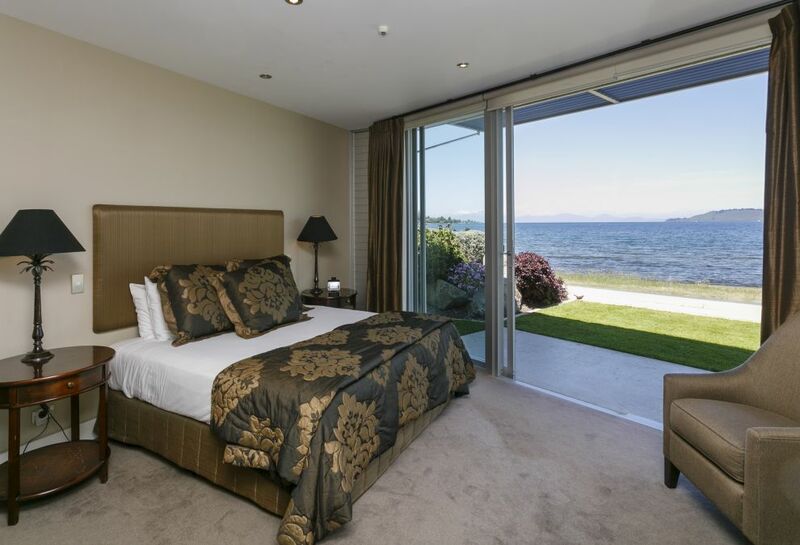 This apartment has three ensuite, full kitchen facilities, large living and dining areas and a large private outdoor area on the lake edge with views of the mountains. It also has a laundry, BBQ, internal garaging and a private spa pool outside. 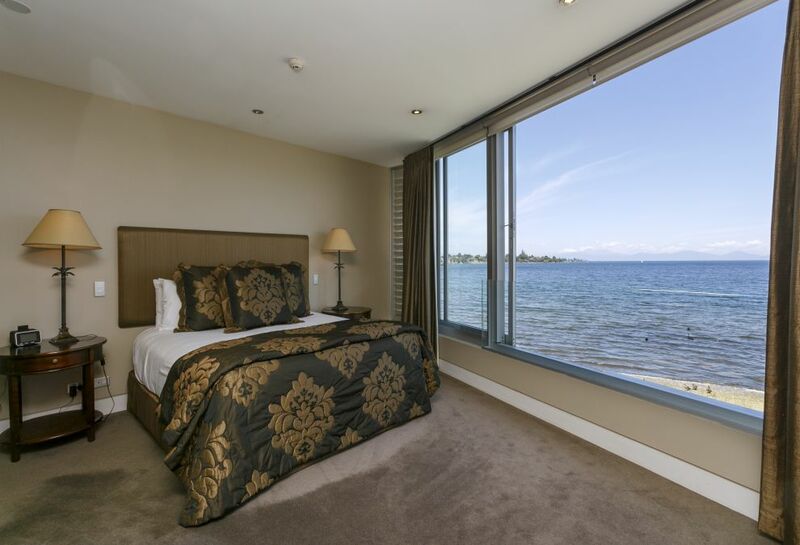 This beautiful, luxury apartment is located right on the lake front. It has three bedrooms, two with king beds, the third bedroom can have one king or two single beds. It has three ensuite, full kitchen facilities and large living and dining areas. The large balcony facing the lake with views towards the mountains has outdoor furniture. It also has a BBQ and a private spa pool outside.